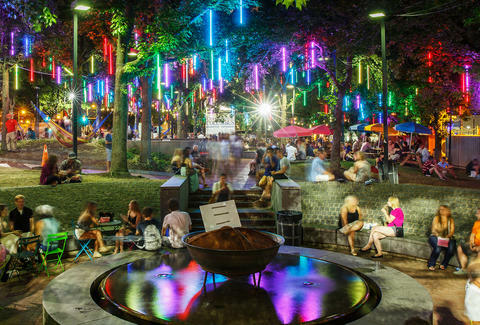 Y Y ou may think you know Philly inside out, from its awesome food and beer scenes to SAT-level knowledge of all those historic landmarks (no mean feat). But there are still adventures to be had, like viewing the skyline from a new perspective, strolling in magic gardens, or even Steve Buscemi kind of showing you around a prison (!). So we’ve put together your guide to the city’s wilder side. Get exploring. Besides being home to the best bathrooms in America (seriously, these skylit, green-walled pods have won awards), Longwood Gardens is worth visiting for its sprawling and ever-changing grounds. Every space of the garden is dedicated to the season’s different specialties, whether it’s the 86-acre Meadow Garden’s hiking trails and wildflowers, or Peirce’s Woods' eight distinct areas celebrating different habitats. It’s impossible to see everything in just one visit, so slow down, take it in, and... take a bathroom break. This once-abandoned rail station, towering over 9th Street, is in the midst of redevelopment into Philly’s own version of NYC’s Highline Park. For now, get a preview of the space at this year’s pop-up garden and take last-chance moody photos of the overgrown plants and rusted train tracks beyond. Drive north to Bucks County, and get wet. 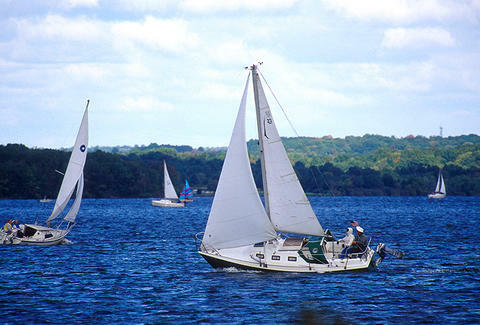 Lake Nockamixon caters to all your water activity needs and bravery levels, with sailboats, paddleboats, canoes, motorboats and rowboats at your call, from six launching areas. If you head there in the colder months, check out trailways for hiking and biking, and a 20-mile equestrian trail. There are cabins for over-nighters, so take time to do it all. This massive, and architecturally stunning, former prison gets most attention during Halloween when it turns into one of the most legit scary haunted houses in the country. But a visit to Eastern State Penitentiary will pump your adrenaline any time of year. An indoor-outdoor audio tour spoken by none other than Steve Buscemi explores the abandoned cells of criminals past, winding corridors, and eerie passageways. Group and private lessons are available for nascent horseback riders -- at a leisurely enough pace to still enjoy Fairmount Park. It's not all in the saddle either, as getting your hands dirty caring for the horses is part of the deal. You'll not only feed your mighty steed, you'll also muck the stalls. To really take it to the next level, try polo lessons; the center is home to Penn's polo team and hosts polo clinics regularly. 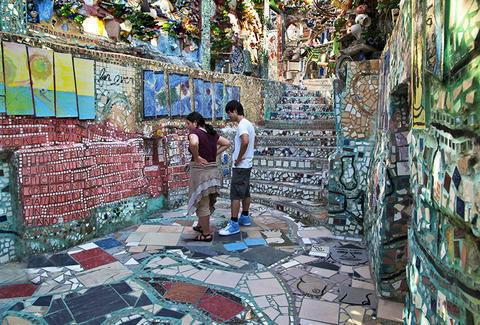 Local artist Isaiah Zagar brings the urban jungle to life with a walkable art installation that would bring any Feng Shui practitioner out in a cold sweat. This bric-a-brac of found objects, from tile to bikes to glass, is also a museum, community center, and performance space in one. There are so many nooks and crannies that every visit yields a new discovery, so even if you’ve passed the space a hundred times, it's always worth another look. Go Vertical is Philly’s only rock climbing gym and one of the largest of its kind on the East Coast with around 250 climbing routes. You don’t have to be an experienced climber to enjoy -- novices are welcome at Climbing School, which offers belay, sport leading, and general introductory courses daily. You’ll be Spider-Man in no time. Aqua Vida pushes yoga and bootcamp veterans to new limits by taking fitness to the water. Classes include floating yoga, where not only do you need to get those downward dog and warrior poses just right, but the stakes are extra high as you try to balance on a paddle board. Dolphin pose anyone? Laurel Hill is more than the final resting place of many important shapers of American history, it's also an outdoor sculptural garden and horticultural masterpiece. It regularly hosts outdoor films, theater performances, and tours, like every second Saturday and fourth Friday's "The Hot Spots and Storied Plots." And of course, it's always worth a wander for no reason in particular. The winding garden paths of Morris Arboretum host wildlife and modern art side by side, and at 92 acres, enough hidden tunnels and elevated walkways to keep the most intrepid urban explorer busy. The tree canopies, at over 50ft above ground level, span 450ft and are complete with a human-sized bird’s nest. In the ongoing effort to transform six miles of the Delaware Waterfront into a welcoming oasis for onlookers and water adventurers alike, Pier 68 is undergoing some big changes. In addition to a waterfront view and opportunities to learn about the river’s ecology, the pier offers recreational fishing -- something heretofore not considered much at Philly’s waterfront. Additionally, the space itself is outfitted with ample lounge areas, including a tree canopy and angled lawn. The 1.2-acre Shofuso House and Garden was originally built as part of a MoMA exhibit to celebrate Japanese culture, and will have you seriously question if you are still standing on Philly soil. (You are, just 17th-century Japanese style.) Tour the house, feed the koi that live in a pond beneath a 75-year-old cherry tree, and check out the monthly traditional tea ceremony. Less than 30 miles from Center City you’ll find Ridley Creek, the most transformative easy-access escape you can get from the city. Well-manicured lawns and exotic plants across its 2,600 acres appeal to day trippers and campers alike, and thirteen miles of hiking trails don’t hurt either. You can also tour the grounds by horseback or try one of the biking or hiking routes to get a feel of the diverse grounds. Fly fishing, cross-country skiing, and archery are other activities that draw visitors throughout the seasons. The Schuylkill is now home to an eight-mile park from MLK Drive to South Street, and is fast becoming the destination for water activities right in the city. 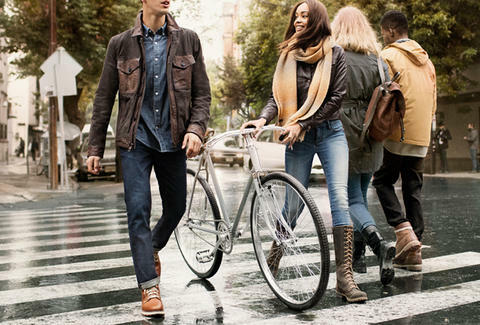 Stay dry with walking tours and outdoor movies, or from one of four boardwalks with spectacular views of the city. Or see it all from a kayak or canoe as you make your way south to Bartram's Garden. Once there, you should have worked up the courage to give stand-up paddleboarding a try. Speaking of... this 45-acre waterfront park is known for its unparalleled views of the Philly skyline, and also as the birthplace of gardening in America. Admission is free, and there are always artists' workshops, jazz performances, and other horizon-broadening happenings on the calendar, as well as weekly river paddles at sunset. Beneath Ben Franklin Bridge is a picnic-friendly, bi-level riverside park, perfect for taking in river views -- in close quarters at high tide, when the river is less than five feet below the lower pier. Check out the lawn's outdoor fitness classes through fall, like early morning and twilight yoga. Also defect to New Jersey via the walk across the bridge. You don't have to be a skier, or even wait til wintertime to have fun at Spring Mountain. The elevated canopy tour includes the opportunity to zipline between tree tops, geocache, and rock climb --something you should have practiced at Go Vertical, above. Through the fall you can explore the grounds at night, take the canopy tour after dark and then -- the best part -- ride back down in a hay wagon. 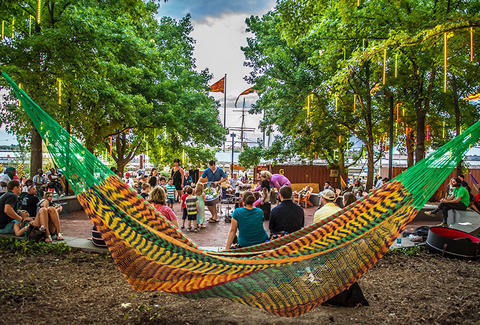 One of the most notable pop-up parks in Philly, Spruce Street Harbor is an oasis of hammocks, outdoor games, water nets, multiple beer gardens, roller skating, and a floating barge restaurant. You can be as active or as relaxed as you want here, whether that means reserving a waterfront hammock lounge and savoring a drink in peace, chilling at the urban beach, or lacing up those skates before retiring to the net lounge. There are also tons of games, from bocce and giant chess to shuffleboard and Jenga -- all of which you can play to the backdrop of live music from local artists. Valley Forge Park attracts Revolutionary history nerds for obvious reasons -- it was the winter encampment of George Washington and his troops in 1777. It's home to dozens of cannons, soldiers’ huts, and the refurbished headquarters of the man himself. It's worth a visit regardless of your history buff-ness, however; the six-mile trail is cyclist-, pet-, and pedestrian-friendly, and it's a significant 75-mile connection to the Appalachian Trail. 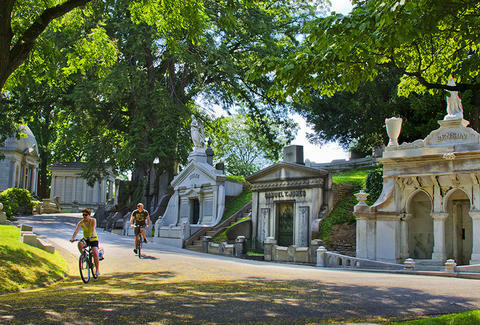 Philly and surrounding areas boast an intricate network of trails for runners, bikers, and walkers, totaling 750 miles --- with an additional 50 miles coming soon. The reopened Manayunk Bridge Trail, as well as the Schuylkill River Trail, and the Pennypack Trail are good starts for aspiring explorers. 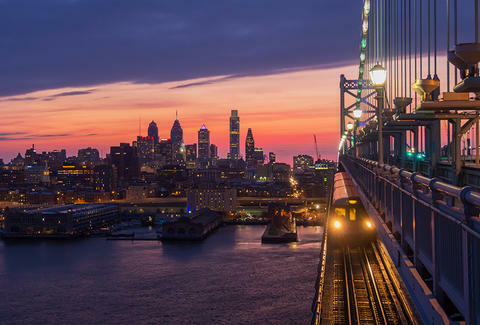 The former enables visitors to cross the bridge that connects Manayunk and Lower Merion, for some of the best views of the Schuylkill River Valley. Marielle Mondon is a writer from Philadelphia. See her explore: @MarielleMondon on Twitter and Instagram.